Comfort, convenience, and discretion top the list of reasons why Invisalign has climbed the ranks in orthodontic treatment options. Brackets and wires are not friendly to sensitive gum and mouth tissues, plus, there is no way to hide traditional braces unless you choose to forego smiling in public. Orthodontics by Birth, Stewart and Fletcher are the best orthodontist practices to visit if you prefer realignment to be comfortable, convenient, and virtually invisible. Invisalign is a series of clear plastic trays used in succession to bring teeth into alignment. The trays are as comfortable as they are inconspicuous. Unlike traditional braces, you will not be required to eliminate foods from your diet that could potentially damage wires and brackets. Since you remove the trays before eating, the only thing you may want to consider is whether your food choices promote tooth decay. Removable trays also allow proper brushing technique, which helps decrease the likelihood of staining and permanent damage to the enamel. Invisalign does so much more than simply realigning teeth discretely. What dental issues can Invisalign correct? In the past, you may have heard that Invisalign only works in cases of minor crooked or protruding teeth. 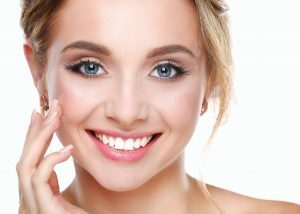 Thanks to advances in technology, people with serious cases of malocclusion, overcrowding, gaps, or bite issues may be candidates for treatment with Invisalign. People who require rubber bands for alignment purposes are in luck since the newest trays can be fitted with rubber bands. Custom treatment plans are developed by orthodontists with the aid of state-of-the-art x-ray technology. 3-D images are used to create a visual representation of realignment from start to finish. Depending on the severity of dental issues, treatment can vary from six months to two years. Over the course of treatment, a series of trays gently guide teeth into place. Each tray does a predetermined amount of work to bring teeth closer to their final position. Once treatment is complete, a retainer may be needed to prevent teeth from shifting. When teeth are properly aligned, gums tend to be healthier because they are able to fit closely to teeth. Hidden spaces caused by overcrowding or overlapping make proper oral hygiene difficult to attain. Plaque builds up in these hard to reach places and eventually leads to inflamed gums and tooth decay. Because the trays are removed during brushing and flossing, proper oral hygiene is easier to accomplish as realignment progresses. Better hygiene practices mean less plaque and bacteria in the mouth, which is good for reasons beyond cavity prevention. One such reason includes heart health. An overgrowth of bacteria in the mouth can be picked up and carried by the blood until it is finally deposited on the wall of the heart. The dedicated team at Orthodontics by Birth, Stewart and Fletcher invites you to ask if Invisalign is right for you or your teen. Give us a call to take the first steps towards a fresh new smile and perhaps improved overall health!